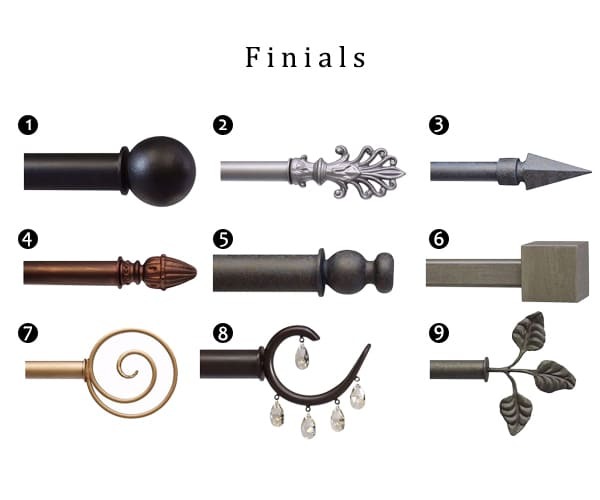 Iron is another popular and versatile metal used for drapery hardware. Signaturethings.com offers hardware products both made out of Iron or those that are finished to create the Iron and rustic looks. Getting the right finish for your curtain hardware can make the big difference between a good and a great space. The right hardware finish balance other design choices in your bedroom or living room, For example, you can match your decor to your hardware finish to create a sophisticated, synchronized look. Our Iron Drapery hardware Ideas should not only support your drapes but also add a touch of elegance to their design. Whether you are looking for a subtle piece for a classic look or a more detailed flourish, we can craft the perfect finishing touches for any room. Our Iron Curtain Rods come with classic style and functional design, these versatile pieces blend into most decorating spaces. Iron Curtain Rods offer both beauty and function when using curtains to create a graceful, Eye-pleasing display around your windows and protect your interiors from harsh elements. Simple yet sophisticated, Iron Curtain Rod Finials provide a visually balanced appearance for your window treatments and keep hung curtains securely on the rod. Perfect for a bedroom, living room, dining room, office, or kitchen. Complete the look with matching SignatureThings's iron curtain rings. 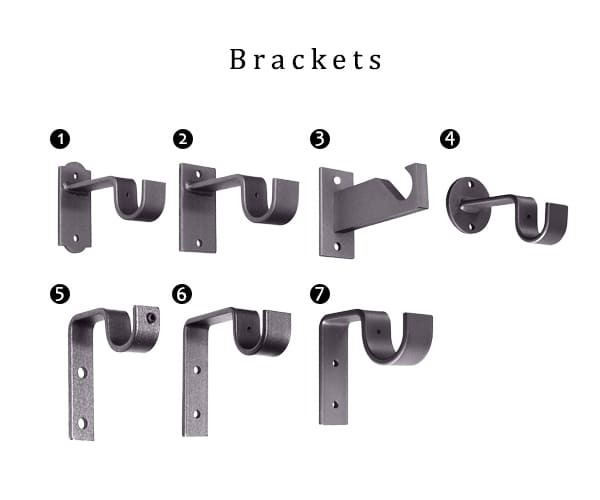 Curtain rod brackets are an essential piece to your drapery project and the right curtain rod brackets can make a big difference in the overall appearance and longevity of your display. Our iron curtain rod brackets provide solid, great looking support for your curtain rods and are available in a variety of sizes and styles. 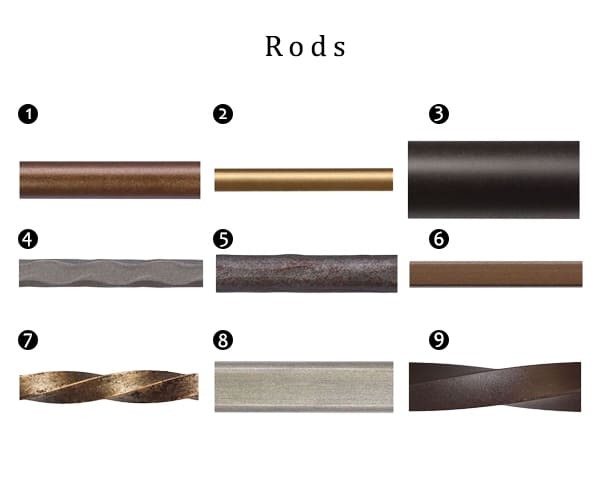 Be sure to measure the diameter of your curtain rod, because there are brackets made for different sizes. 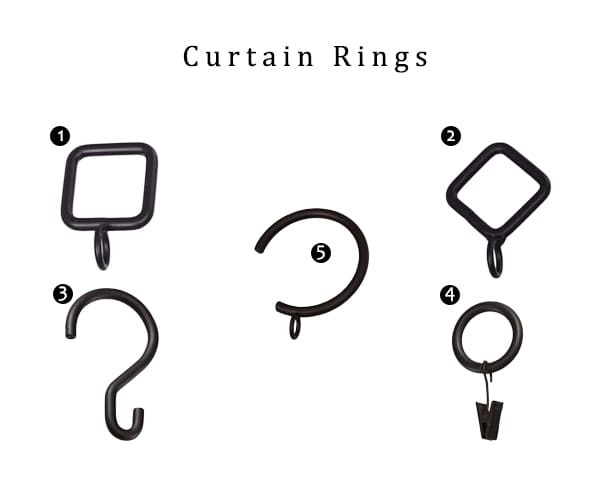 Add finishing touch to your drapery with strong stylish iron curtain rings. Hang up your favorite curtains or sheers to create a lovely window treatment. Each of iron curtain rings is coordinated with matching finishes to our iron drapery rods and tiebacks. Add a touch of elegance to any room with this of classic curtain holdbacks designed with the crystal ball. 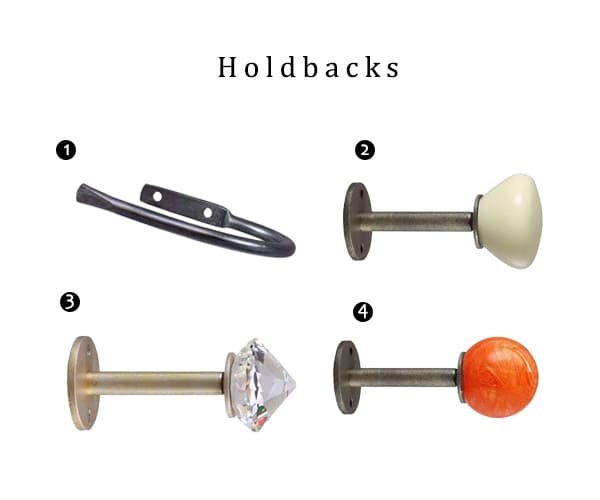 Use our iron curtain tie backs, also known as curtain holdbacks where curtain stacking space is limited or you want the swept back to look for your curtains. Excellent match for traditional, classical or even modern themed rooms. This diamond crystal curtain hooks simple in design, but the crystal design is very bright, it will give your living area a sense of style that will be hard not to notice. This sophisticated curtain tieback will subtly enhance your decor without being audacious. Being beautiful, practical, and economical, the small crystal has recently been popular for decoration. Standard Iron Finishes - Aged Iron, Antique Brass, Ash, Beijing, Black, Bright Silver, Bronze, Brushed Nickel, Burgundy, Chalet, Champagne, Espresso, French Blue & More.